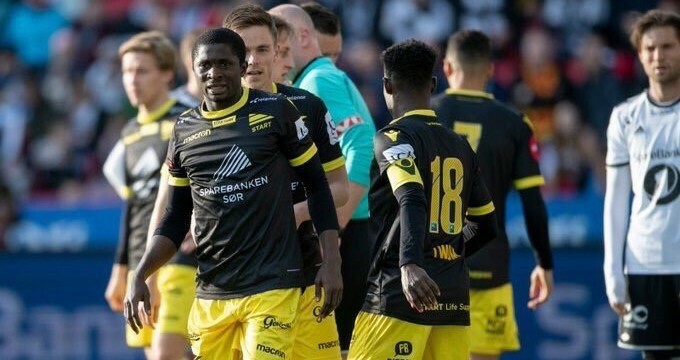 Twum, Aremu feature for IK Start in League’s opener. IK Start commenced the 2019 Norwegian league season with a 0-1 defeat at home to Aalesund. Isaac Twum and Aremu Afeez played the entire duration of the match at the Sparebanken Sør Arena in Kristiansand. Afeez operated from the center of midfield and was even booked on the 45th minute mark. Surprisingly, Twum played from as a center back and he excelled at the position exhibiting his versatility. Stàle Steen Sæthre broke the hearts of the hosts in the 87th minute to win for the visitors.